Step inside Katrina’s Kloset and find your fashion fix. Carrying designer labels like Frank Lyman, Joseph Ribkoff, French Dressing Jeans and many more, the boutique caters to their clientele with fresh fashion trends and welcoming customer service. 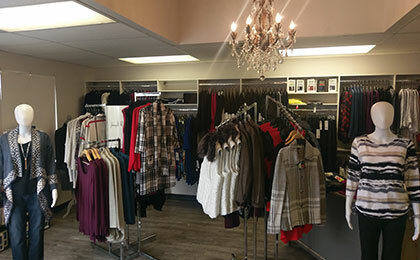 Located on the outskirts of downtown Elora, be sure to open the door to Katrina’s Kloset and shop in style.